This 32 channel Sibell IP Network Security Package is perfect for someone with a large home, ranch, hotel or any business where knowing what’s going on is important. This package includes everything but the hard drive storage so, you’ll get a 32 channel NVR, 32 high definition 1080p/2MP cameras, 2 sixteen channel PoE switches and 32 pre-made 100 foot lengths of CAT5 network cable. Choose your hard drives above and we will install, test and configure them for you before shipping and once you get everything, you’ll be ready to go. To get the full specs and descriptions, click on the product links above and you’ll see how much this package truly offers. We have two US locations with a knowledgeable support staff that can answer your installation and configuration questions and we have many different options available to reach them. Our 32 camera package starts off with a 32 channel NVR (network video recorder) that works with cameras from 1-5MP and also holds up to 8 hard drives up to 6TB each. Since we offer the same camera in different styles, we’ve gone ahead and included 16 bullets and 16 domes that have the same specs. The cameras deliver a sharp, vibrant video in high-def 1080p and have a 2.8mm fixed lens that is adaptable for many situations. These cameras also have built-in IR (infrared) that allows you to see detail at night and in poorly lit areas up to 65 feet. With the pre-made CAT5 cables, you won’t need any additional wiring because these cameras use PoE (Power over Ethernet) and your power is supplied over the same cable that the data travels over. All you need to do is connect one end to the cameras and plug the other end into the included PoE switches and then plug the PoE switches into your router and you’re done. If you’ve got questions, we’ve got answers and any of our sales agents are capable of helping you determine what you need for your specific situation. This package might be perfect for you and you just need to be assured or it might need a slight tweaking. Just give us a call at 866-573-8878 and when prompted, push 2. We’re ready to help you whether you have questions about the different technologies available, hard drive sizing and once you receive your system we can even log in remotely and help you get set up. Don’t think that just because we have such great prices that we’re just going to send your package and forget about you. 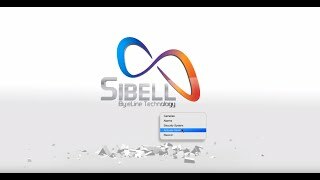 Our Sibell Recorders and Cameras include a 2 year warranty, FREE US based tech support as long as you own the product and FREE remote monitoring software!